Update your holiday wardrobe with the ever-enticing PAXLEY slide. A statement style that's guaranteed to make an impression, this simple design features a soft leather strap across the top of the foot and a thick platform sole that's wrapped in woven raffia. 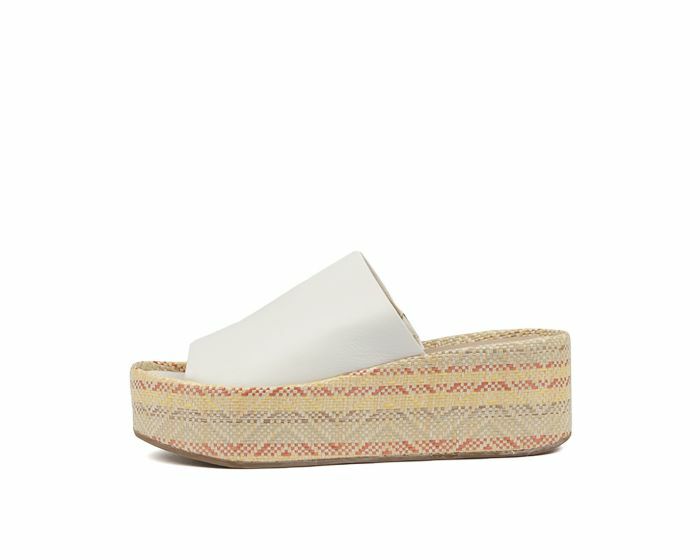 Paired with your favourite bikini or a printed kaftan, this is a beach-goer's essential that will keep your feet chic.